The process could lead to breakthroughs in medicine and molecular data storage. Researchers from MIT, Arizona State University and Baylor University have developed a new algorithm that promises to simplify the arduous and complex task of assembling DNA into structures other than a double helix. These structures could eventually be used as everything from DNA storage modules to delivery vehicles for CRISPR enzymes and other medicines, but until now the process of creating them has been prohibitive. Rather than starting from scratch and sequencing thousands of DNA base pairs by hand -- a process that only a few experts know how to do at this point -- the new process called DNA Origami Sequencing flips that around and starts with a geometric shape. A user simply plugs the desired shape into the algorithm, and the computer will determine the order of base pairs needed to twist and fold the DNA into that shape. 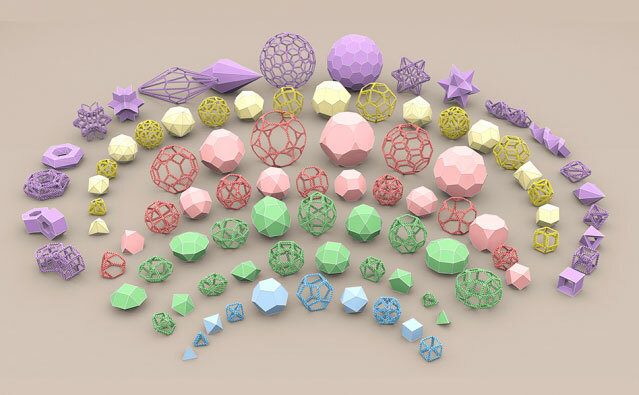 As long as the shape fits certain parameters, the computer does all the work. The algorithm, which gets the slick name "DAEDALUS" could have uses beyond medicine as well. For starters, it will make the processes behind DNA data storage much cheaper, but according to MIT associate professor Mark Bathe, the DAEDALUS algorithm could do for DNA sequencing what 3D printing did for macroscopic modeling.